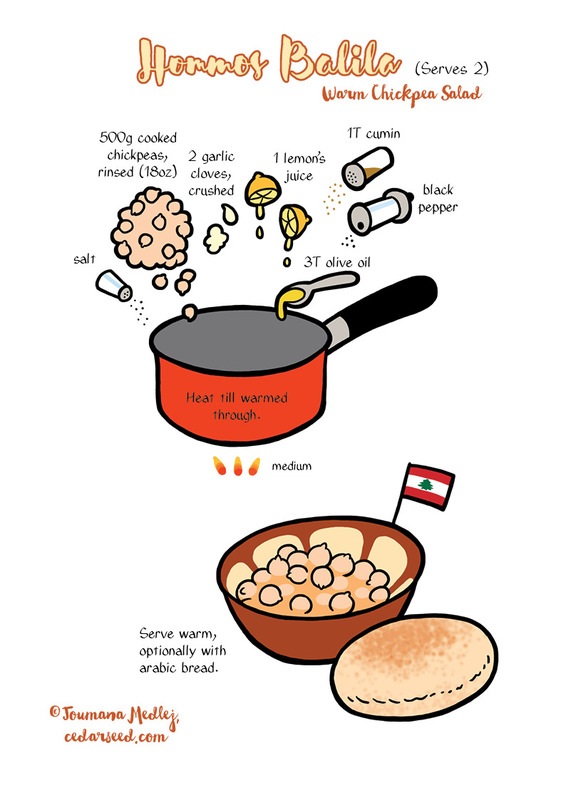 A savoury Lebanese breakfast that can also be served as a side dish. It’s incredibly quick to make and is nicely filling. All of the seasoning can be adjusted to taste. I have this almost every morning, and what I do is use a whole tin of chickpeas (carefully rinsed), mashing them just a little so they’ll absorb the flavours better. I also add cayenne pepper to the mix (I put it on everything, to be honest), and eat it with a spoon, without bread. I know someone who mixes all the ingredients in a big batch stored in the fridge, so that all she has to do is scoop a daily portion and heat it up. This makes it even quicker, and also means the chickpeas can marinate for a while.